In vitro studies showed that high-frequency pulsed electromagnetic fields (HF-PEMFs) increase the activity/expression of early and late osteogenic markers and enhance bone mineralization. The main aim of this study was to investigate the in vivo effects of HF-PEMFs on fracture healing using a rat model. A femur fracture was established by surgery in 20 male Wistar rats. Titanium nails were implanted to reduce and stabilize the fracture. After surgery, 20 rats were equally divided into untreated control and treated group (from the first postoperative day HF-PEMFs at 400 pulses/sec [pps] were applied for 10 minutes/day, for two weeks). Quantitative and qualitative assessment of bone formation was made at two and eight weeks following surgery and included morphological and histological analysis, serological analysis by ELISA, micro-computed tomography (micro-CT), and three-point bending test. At two weeks in HF-PEMF group, soft callus was at a more advanced fibrocartilaginous stage and the bone volume/total tissue volume (BV/TV) ratio in the callus area was significantly higher compared to control group (p = 0.047). Serum concentration of alkaline phosphatase (ALP) and osteocalcin (OC) was significantly higher in HF-PEMF group (ALP p = 0.026, OC p = 0.006) as well as the mechanical strength of femurs (p = 0.03). At eight weeks, femurs from HF-PEMF group had a completely formed woven bone with dense trabeculae, active bone marrow, and had a significantly higher BV/TV ratio compared to control (p = 0.01). HF-PEMFs applied from the first postoperative day, 10 minutes/day for two weeks, enhance bone consolidation in rats, especially in the early phase of fracture healing. Kanakaris NK. The health economics of the treatment of long-bone non-unions. Injury 2007;38(Suppl 2):S77–S84. Fernandez-Bances I, Perez-Basterrechea M, Perez-Lopez S, Nunez Batalla D, Fernandez Rodriguez MA, Alvarez-Vlejo M, et al. Repair of long-bone pseudoarthrosis with autologous bone marrow mononuclear cells combined with allogenic bone graft. Cytotherapy 2013;15(5):571–7. Cook JJ, Summers NJ, Cook EA. Healing in the New Millennium: Bone Stimulators: An Overview of Where We’ve Been and Where We May be Heading. Clin Podiatr Med Surg 2015;32(1):45–59. Griffin XL, Warner F, Costa M. The role of electromagnetic stimulation in the management of established non-union of long bone fractures: what is the evidence? Injury 2008;39(4):419–29. Guo L, Kubat NJ, Nelson TR, Isenberg RA. Meta-Analysis of Clinical Efficacy of Pulsed Radio Frequency Energy Treatment. Ann Surg 2012;255(3):457–67. Zhou J, He H, Yang L, Chen S, Guo H, Xia L, et al. Effects of Pulsed Electromagnetic Fields on Bone Mass and Wnt/β-Catenin Signaling Pathway in Ovariectomized Rats. Arch Med Res 2012;43(4):274–82. Huang L, He H, He C, Chen J, Yang L. Clinical update of pulsed electromagnetic fields on osteoporosis. Chin Med J (Engl) 2008;121(20):2095–9. Tsai MT, Li WJ, Tuan RS, Chang WH. Modulation of osteogenesis in human mesenchymal stem cells by specific pulsed electromagnetic field stimulation. J Orthop Res 2009;27(9):1169–74. Hannemann PFW, Mommers EHH, Schots JPM, Brink PR, Poeze M. The effects of low-intensity pulsed ultrasound and pulsed electromagnetic fields bone growth stimulation in acute fractures: a systematic review and meta-analysis of randomized controlled trials. Arch Orthop Trauma Surg 2014;134(8):1093–106. Teven CM, Greives M, Natale RB, Su Y, Luo Q, He BC, et al. Differentiation of osteoprogenitor cells is induced by high-frequency pulsed electromagnetic fields. J Craniofac Surg 2012; 23(2):586–93. Dimitriou R, Babis GC. Biomaterial osseointegration enhancement with biophysical stimulation. J Musculoskelet Neuronal Interact 2007;7(3):253–65. Ciombor DM, Aaron RK. The role of electrical stimulation in bone repair. Foot Ankle Clin 2005;10(4):579–9. Morgan EF, De Giacomo A, Gerstenfeld LC. Overview of skeletal repair (fracture healing and its assessment). Methods Mol Biol 2014;1130:13–31. Kinney B. Pulsed electromagnetic field therapy in plastic surgery. Aesthetic Surg J 2005;25:87–91. Prentice WE, Quillen WS, Underwood FB. Therapeutic modalities in rehabilitation, 4th ed. McGraw-Hill, Medical Pub. Division; 2005. Bombonica Dogaru G, Crăciun C, Rusu M, Bodizs G, Calinici T, Pop L. Histoenzimological and biomechanical cortisol and aldosterone changes in rats exposed to pulsed short waves (Diapulse). Ann RSCB 2010;XV(2):79-86. Comorosan S, Pana I, Pop L, Craciun C, Cirlea AM, Paslaru L. The influence of pulsed high peak power electromagnetic energy (Diapulse) treatment on posttraumatic algoneurodystrophies. Rev Roum Physiol 1991;28(3-4):77–81. Biggane P, Jackson X, Nazarian A. Bone composition and healing: Open electromagnetic and biomechanical problems. Proc Annu Int Conf IEEE Eng Med Biol Soc EMBS 2016;2016:6026–9. Dogaru GB, Bódizs G, Călinici T, Onac I, Pop L. Biochemical changes in rats submitted to the action of pulsed short waves (Diapulse). Ann RSCB 2012;XVII(1):133-5. Midura RJ, Ibiwoye MO, Powell KA, Sakai Y, Doehring T, Grabiner MD, et al. Pulsed electromagnetic field treatments enhance the healing of fibular osteotomies. J Orthop Res 2005;23(5):1035–46. Assiotis A, Sachinis NP, Chalidis BE. Pulsed electromagnetic fields for the treatment of tibial delayed unions and nonunions. A prospective clinical study and review of the literature. J Orthop Surg Res 2012;7:24. Fredericks DC, Nepola JV, Baker JT, Abbott J, Simon B. Effects of Pulsed Electromagnetic Fields on Bone Healing in a Rabbit Tibial Osteotomy Model. J Orthop Trauma 2000;14(2):93–100. Nunes DN, Vasconcelos T, Bezerra M, Weiner J. Electromagnetic Energy Density in Dispersive and Dissipative Media. J. Opt. Soc. Am. B 2011;28(6):1544-52. Carrie Sussman, Barbara Bates-Jensen. Wound Care: A Collaborative Practice Manual for Health Professionals, 3rd ed. Philadelphia: Wolters Kluwer Health/Lippincott Williams & Wilkins; 2007. Sousa NTA De, Guirro ECDO, Calió JG, et al. Application of shortwave diathermy to lower limb increases arterial blood flow velocity and skin temperature in women: a randomized controlled trial. Brazilian J Phys Ther 2017;21:127–37. Draper DO, Knight K, Fujiwara T, et al. Temperature Change in Human Muscle During and After Pulsed Short-Wave Diathermy. J Orthop Sport Phys Ther 1999;29:13–22. Ehnert S, Fentz A-K, Schreiner A, Birk J, Wilbrand B, Ziegler P, et al. Extremely low frequency pulsed electromagnetic fields cause antioxidative defense mechanisms in human osteoblasts via induction of •O2 − and H2O2. Sci Rep 2017;7:14544. Ehnert S, Falldorf K, Fentz AK, Ziegler P, Schroler S, Freude T, et al. Primary human osteoblasts with reduced alkaline phosphatase and matrix mineralization baseline capacity are responsive to extremely low frequency pulsed electromagnetic field exposure - Clinical implication possible. Bone Reports 2015;18(3):48–56. Spadaro JA. Mechanical and electrical interactions in bone remodeling. Bioelectromagnetics 1997;18(3):193–202. Buzzá EP, Shibli JA, Barbeiro RH, Barbosa JR. 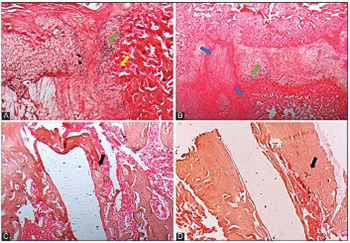 Effects of Electromagnetic Field on Bone Healing Around Commercially Pure Titanium Surface: Histologic and Mechanical Study in Rabbits. Implant Dent 2003;12(2):182–7.